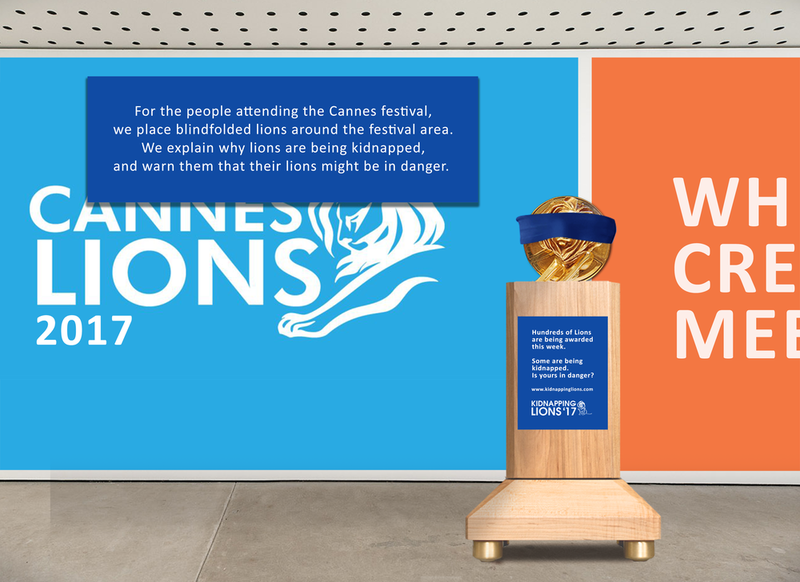 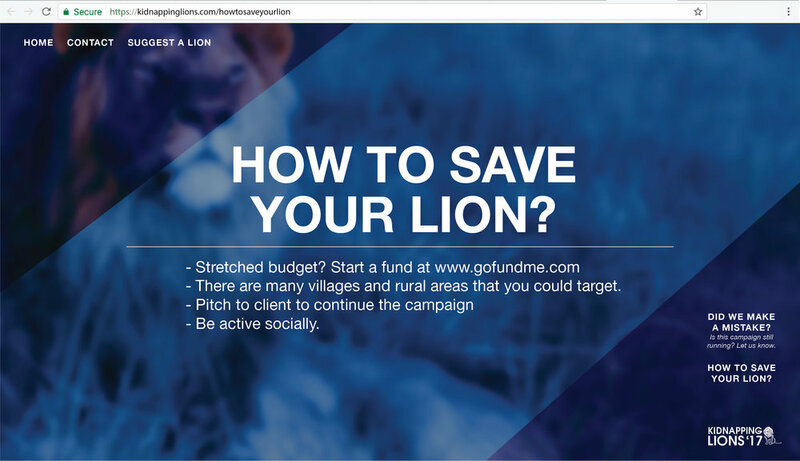 After receiving their Lions, a lot of agencies discontinue their campaigns, campaigns that are helping a lot of people who need it. 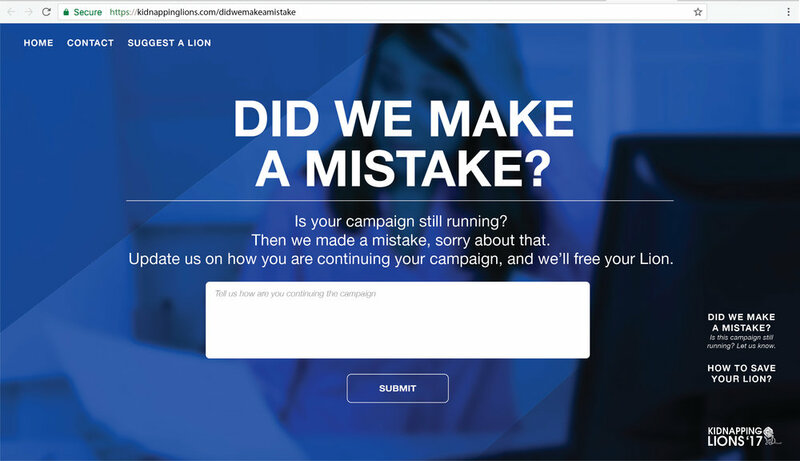 We kidnap lions from campaigns that helped people in need but got discontinued after awarded with a lion. 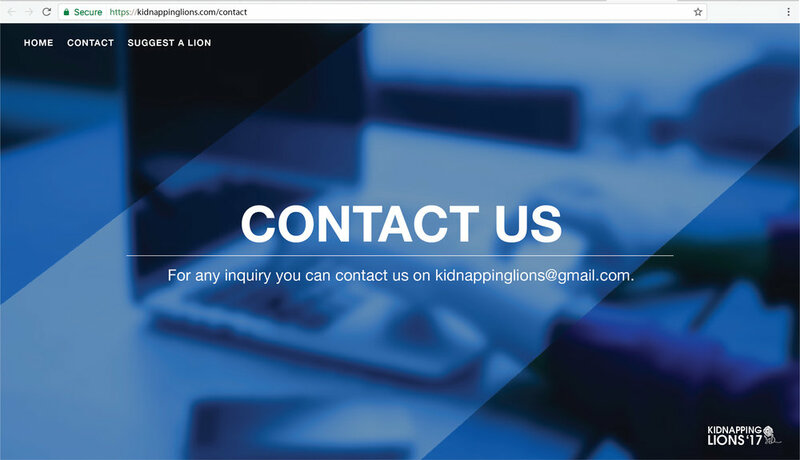 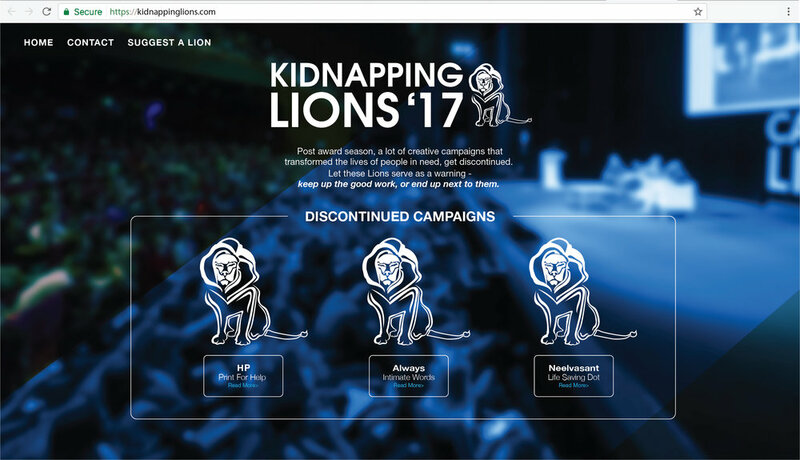 Displaying the kidnapped lions on a microsite in order to call out the agencies behind the campaigns that were discontinued, and raise awarness to our cause.